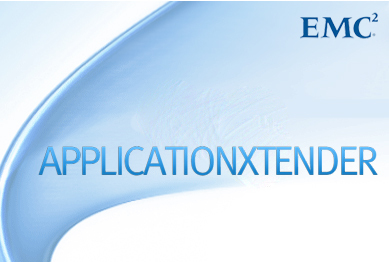 The Application Extender suite of products from EMC, a leader in document imaging and data capture technology. With its open architecture, fast deployment, and ease of use, Application Extender products work independently or in concert to deliver flexible, scalable strategies for your organizations data storage and document management requirements. The heart of a complete, fully integrated suite of Enterprise Content Management solutions. ApplicationXtender allows your organization to capture all different kinds of electronic content, organize and search quickly and easily. Not only document capture, but data capture as well, eliminates re-typing and errors with seamless integration to existing business applications. WebXtender (WX) provides easy, inexpensive web access to AX anytime, anywhere, inside and outside of your organization, as authorized. Ascent Capture delivers the premier solution for high-volume document and data capture. Ascent Capture provides fast, flexible and efficient scanning with automated indexing, automatic form ID and accurate zonal OCR and ICR. Documentum offers a variety of application bridges, which enable you to tie documents to data by integrating ApplicationXtender with leading applications. These off-the-shelf integration modules maximize the business value of these applications, by providing users with immediate access to the content they need – improving productivity and streamlining processes. Reports Manager is an electronic report processing solution for AX. ERMX delivers exact presentation of business reports on workstations, or over the Web. Media Distribution meets the organizational and inter-organizational demand for the distribution of content to those individuals who need access to the information – especially when Web access is not possible, convenient or appropriate. Documentum RepliStor for XtenderSolutions® offers a powerful data protection and rapid recovery solution for Windows, by enabling you to combine Documentum RepliStor®, Documentum ApplicationXtender® and Documentum DiskXtender® in the same configuration.